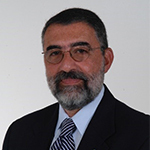 We are so excited to welcome Dr. Claudio Spiguel to the Engineering Leadership Institute. Dr. Spiguel has joined the Herbert Wertheim College of Engineering faculty as Professor of Practice. Dr. Spiguel’s primary role will be instruction of our Engineering Professionalism and Ethics course but he’ll also be involved in delivery of our Advanced Engineering Leadership Development course and our various Skill-Builders for Engineering Leaders learning modules. Claudio brings a wealth of industry and government experience to our College and Institute, having retired as Corporate Vice President, Chief Information Officer, and Board Member of Zeneca, Inc. (then AstraZeneca), a global pharmaceutical company, and having been the industry’s Information Management Liaison to the Federal Government through the Food and Drug Administration. In addition to a prior adjunct assignment with the Institute, he has held previous academic appointments with the University of Delaware, the University of Michigan, and the University of Sao Paulo (Brazil). Dr. Spiguel holds a Ph.D. and an M.Sc. in Computer & Communication Sciences from the University of Michigan, and two degrees in Naval Architecture and Marine Engineering from the University of Sao Paulo (Brazil).